Hello, everyone! I’m John and I work in MC-NPL’s Outreach Department. I have the pleasure to be assisting Tracee with the KidsMake project, and so you’ll be hearing from me on this blog as well. KidsMake has been a collaborative learning experience for us as well, and we’ve learned a lot from visiting other libraries, seeing how they handle their makerspaces, and how they make use of their available resources. This was how in January we found ourselves at the Middletown Free Library for a seminar given by their director, Mary Glendening, on their CreateSpace. The setup of CreateSpace addresses an issue we’re encountering at KidsMake as well: How best to share a common area when there’s no room for a dedicated workshop space. CreateSpace is designed for portability from the get-go. It’s not hard to imagine the equipment being quickly loaded up in a van and taking the entire space somewhere else for an exhibition. Thanks to Mary and the MFL staff for teaching us so much and making us feel so welcome! 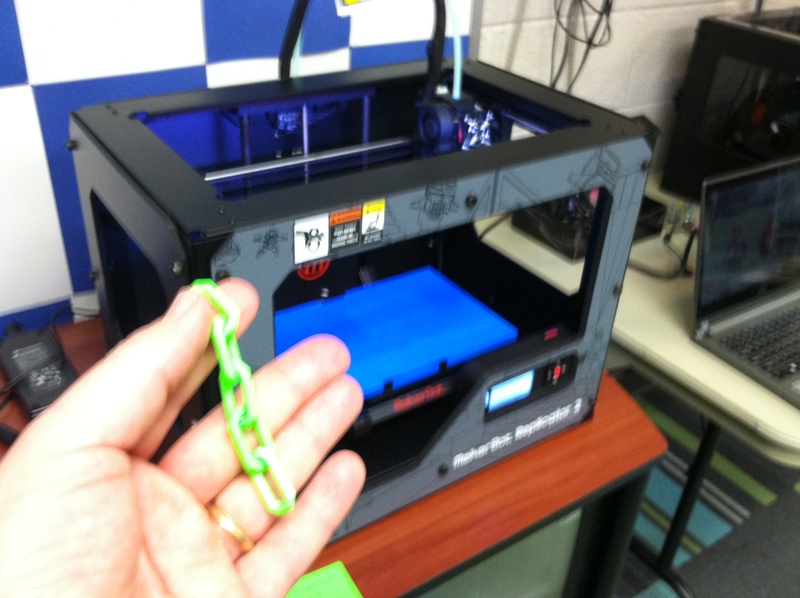 One of CreateSpace’s 3D printers and the result of its work in my hand. 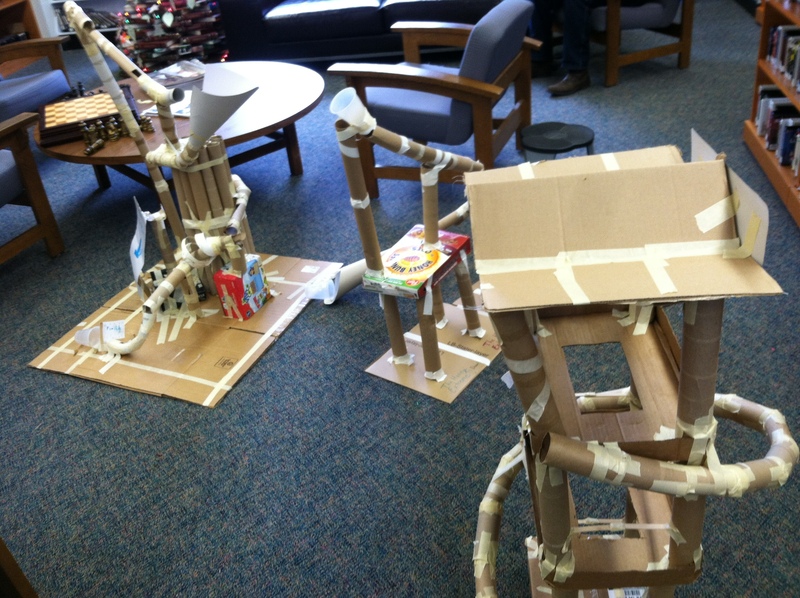 These marble run “roller coasters” made by young patrons dotted the main floor of the library. 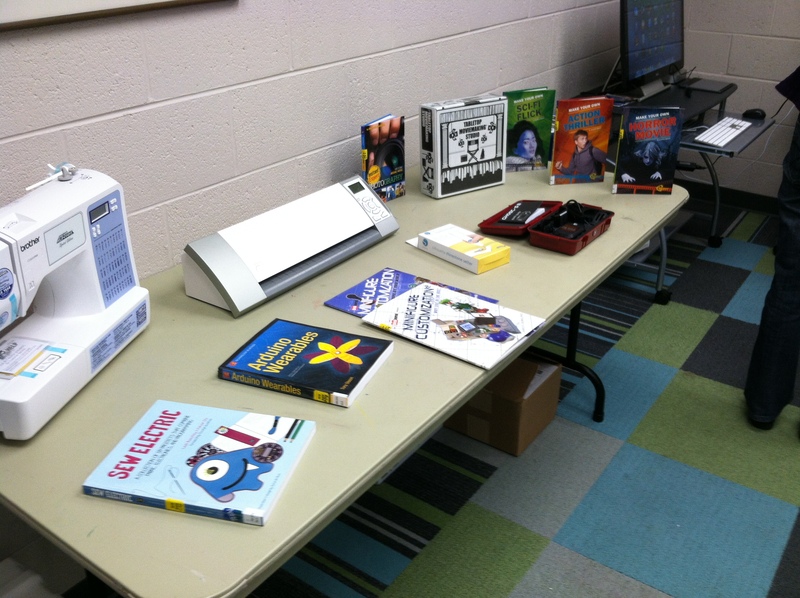 A variety of CreateSpace resources on display, for such things as wearable electronics and video production. Bookmobile librarian for the Montgomery County-Norristown Public Library. Technology enthusiast. Steampunk fan. Not at all engaged in a sinister plot to take over the world. Library girl, knitting ninja, and lover of dogs searching for the simple life one seashell at a time. Tinker connects youth and teen library staff with STEAM and Maker program ideas. Come to a meeting for a chance to try out new tech and tools!